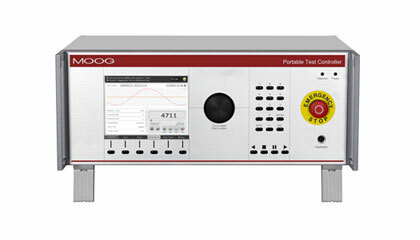 The Portable Test Controller incorporates a unique force loop technology for force, displacement and acceleration control to handle general purpose testing. It is ideal for either replacement or upgrade to digital control. Typical test systems the Portable Test Controller can be used in are single-�and multi-axis test systems, hydraulic simulation tables and tire-coupled simulation systems (4-poster test systems).